Okay, so let’s get the obvious question out of the way. Is this one sheet from the original 1958 theatrical run? The answer is no, it is not. This one sheet is from the 1996 theatrical re-release, and while it is every bit as impressive as the original, it is also much, much easier on the wallet. To be honest, “Vertigo” is not one of my favorite Hitchcock films. Sure, it definitely stands on its own two legs and is a fine movie, but I’ve never found it to be as engaging as “Psycho” or “The Birds” (others will disagree, but its my personal opinion only). 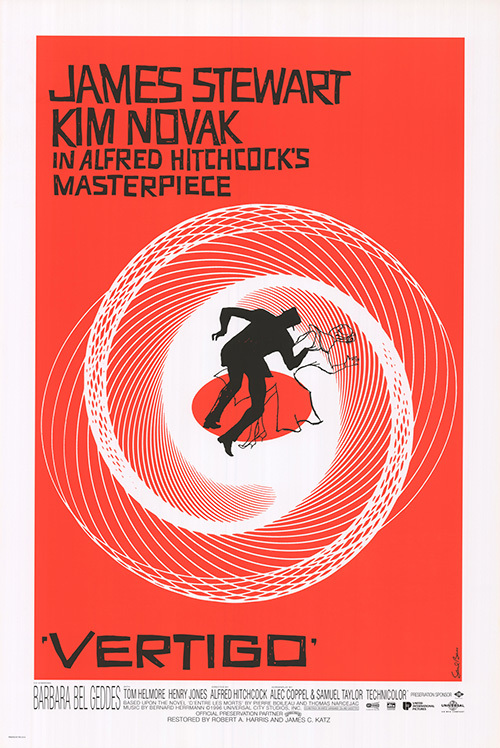 One thing I will agree upon though is that the poster artwork designed by the legendary Saul Bass is second to none and is arguably one of the best Hitchcock posters of all time. Copyright Notice: The artwork and poster designs featured are copyright of the relevant studios or artists and are displayed on this website for non-commercial purposes only. To be honest, I haven’t seen the film “My Fair Lady” with Audrey Hepburn and Rex Harrison for quite a few years now. But when I first did on television back in the 1990’s, it left quite a lasting impression (how could a movie not do so with songs like “I Could Have Danced All Night” and “The Rain in Spain”). From that time up until recently, I was also familiar with the 1994 re-release photographic poster art in which Audrey Hepburn is prominently displayed on the right side of the poster in a white dress and hat while a smaller Rex Harrison is on the left with both arms raised in the air just below the film’s title. Now, as posters go, the 1994 re-release is very nice, but then I discovered the original 1964 U.S. one sheet. What a world of difference! Artist Bob Peak wonderfully captures the magic of the film with the portraits of the stars, the scene montage beneath them and the overall pink background. The photographic re-release is good, but the painted Bob Peak art is great…no wait…amazing! 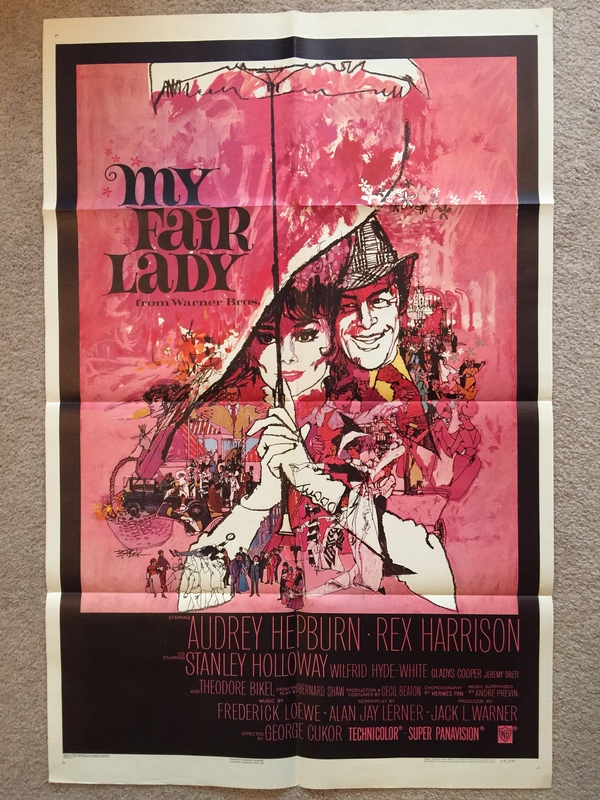 The original 1964 “My Fair Lady” U.S. one sheet displayed in this blog post is in very fine condition with typical fold wear. The paper the poster is printed on is also what one would expect from a 1960’s U.S. one sheet (e.g. “Dr. No” or “From Russia with Love), with a texture that is rougher, thinner and more “paperish” to the touch than the smoother, thicker, glossier texture belonging to most current U.S. one sheets. Also included is a close-up picture of the NSS stamp from the poster backside. In summary, a delightful poster to own and handle for a fantastic film! Since this is the first of hopefully many blog posts to come regarding movie posters and related topics, I thought the following would be an appropriate starter. My wife and I have lived in our current home for a number of years now, but only recently did I rediscover my teenage-era hobby of collecting movie poster one sheets. If you collect such gorgeous works of art as movie posters, naturally it makes sense to display them. So one day, I was tossing around the topic of prominently displaying a poster somewhere around the house. Initially, I had considered an open wall upstairs just outside our office, but instead my wife suggested the wall space just above our small wine bar in the kitchen. Talk about figuratively moving from the lobby into the main room! I immediately gave her a big hug and pounced on the idea. Then, just when I thought things couldn’t get better, she looked at the newly proposed wall, glanced around the immediate area and suggested that we put a SECOND poster nearby, just over the left edge of our couch in the family room. Um…uh…gee…whoa! Not just one, but TWO movie posters to be prominently displayed in the main part of the house? Heck yeah! A very big thank you to my wife for her suggestions. She really is my better half! The photos in this post are the end result. Both are U.S. one sheets from the original theatrical releases in the 1980s and feature artwork by Drew Struzan. Every time I pass by I can’t help, but stop and stare for a moment or two. Wow, I mean, wow! 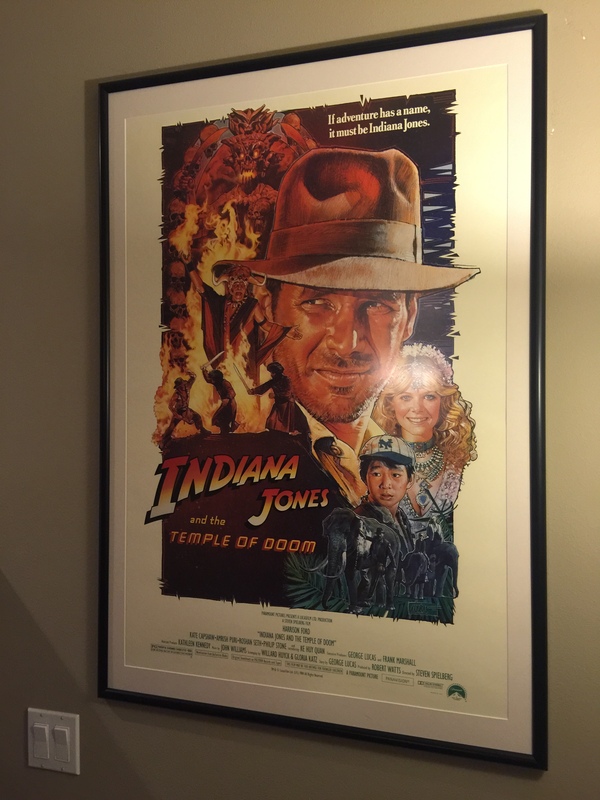 Collecting AND displaying movie posters, owning the art and visibly appreciating it at the same time. Talk about having the best of both worlds! P.S. 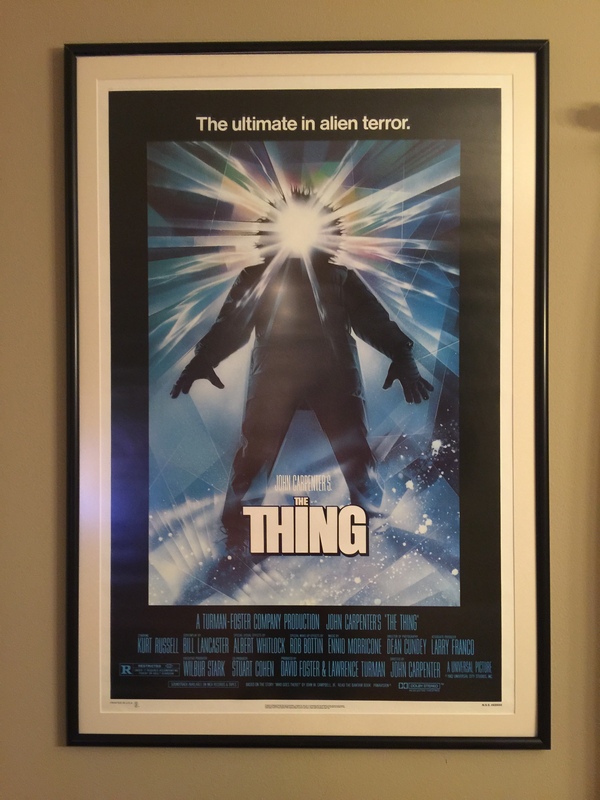 My wife took a look at another wall in our family room and casually mentioned that it might make sense to have a THIRD framed poster on the wall to balance out the other one over the couch. Fingers crossed!